Hello! So how did you like the Your Next Stamp release? So many fun new products, right? If you'd like some more eye candy, the DT is playing along with Your Next Stamp Fun Friday today using the newly released stamps and dies! 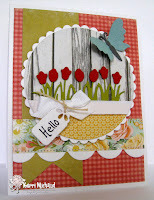 This is the last Friday for our April theme~Spring Fling! 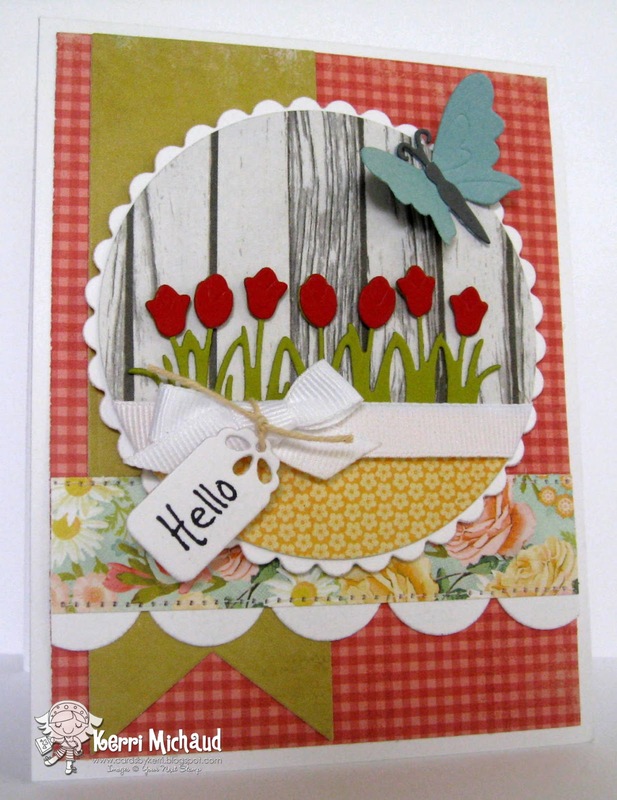 I used the new Spring Garden Die Set on my card. I just adore this pretty row of tulips, and the tulip heads and butterfly have embossing lines that add so much detail! The dp I used is My Mind's Eye Miss Caroline Howdy Doody and the sentiment comes from the YNS set Handwritten Sentiments. I absolutely love those flowers. This is so cute!